Ever have a song that really works when it’s a piano or guitar and vocal, but just doesn’t seem to cut it when the whole band gets hold of it? That’s because one of the biggest problems with songs that don’t end up sounding as good as they do in your head is because of some common arranging mistakes. Arranging is an art form just like everything else in the music business so it does take some talent and experience to get a song to really click, but you can easily avoid some of the common pitfalls by observing the pointers below. Most well conceived arrangements are limited in the number of elements that occur at the same time. An element can be a single instrument like a lead guitar or a vocal, or it can be a group of instruments like the bass and drums, a doubled guitar line, a group of backing vocals, etc. Generally, a group of instruments playing exactly the same rhythm is considered an element. Examples: a doubled lead guitar or doubled vocal is a single element, as is a lead vocal with two additional harmonies singing the same melody. If the bass plays very tightly with the kick and snare, that can be a single element too. Two lead guitars playing different parts are two elements, however. A lead and a rhythm guitar are two separate elements as well. So what’s an element then? There are 5 elements in every arrangement. Foundation - The Rhythm Section. The foundation is usually the bass and drums, but can also include a rhythm guitar and/or keys if they’re playing the same rhythmic figure as the rhythm section. Occasionally, as in the case of power trios, the Foundation element will only consist of drums since the bass will usually have to play a different rhythm figure to fill out the sound, so it becomes it’s own element. Pad - A Pad is a long sustaining note or chord. In the days before synthesizers, a Hammond Organ provided the most often used pad and was later joined by the Fender Rhodes electric piano. Synthesizers now provide the majority of pads but real strings or a guitar power chord can also suffice. Rhythm - Rhythm is any instrument that plays counter to the Foundation element. This can be a double time shaker or tambourine, a rhythm guitar strumming on the backbeat, or congas playing a Latin feel. The Rhythm element is used to add motion and excitement to the track. Lead - A lead vocal, lead instrument, or solo. Fills - Fills generally occur in the spaces between Lead lines, or can be a signature line like the intro to Coldplay’s “Clocks” or the Stones “Satisfaction”. You can think of a Fill element as an answer to the Lead. The biggest problem with most arrangements that don’t work is that they have too many elements happening at the same time. You can’t have 4 percussion elements, 5 guitar elements, 3 keyboard elements, a rhythm section and lead and background vocals and not get physically tired from listening because there’s just too much going on! The mind unconsciously longs for simplicity and rewards a simple arrangement with attention, which is what we want to have happen, of course. But what does simplicity mean? You should never have more than 4 elements occurring at the same time. You can get away with 5 every once in a while, but 4 is usually the max. “But there’s usually more than 4 instruments playing in most things I listen to these days,” you say? Yes, but they’re usually playing the same parts. For instance, if you have a doubled guitar part with a 3rd track playing the same part an octave above, that’s 3 instruments playing only 1 part, so that counts as only 1 element. If a guitar is doubling a bass line, that’s only 1 element. If you have a lead vocal that’s doubled with another vocal an octave above, that’s still only 1 element. A symphony orchestra may have 120 instruments, but when you break it down they’re all just playing a limited number of elements. Eventually, everything comes down to 4 of the 5 elements mentioned above. Keep these tricks in mind and your songs will sound better and so will your recordings too! More on arrangement in an upcoming post. You can also read more about arranging techniques in my book How To Make Your Band Sound Great (where a lot of this article came from). I'm not so sure if this smacks of desperation or it's just another lame-brained label scheme, but Island Def Jam will include advertising on the upcoming Mariah Carey CD "Memoirs of an Imperfect Angel." The CD, to be released on Sept. 15th, features a 34-page mini-magazine co-produced with Elle that will include the usual liner notes and lyrics along with ads from Elizabeth Arden, Angel Champagne, Carmen Steffen's, Le Métier de Beauté and the Bahamas Board of Tourism. If things go well, it's reported that Island Def Jam hopes to do similar booklet deals for Rihanna, Bon Jovi, Kanye West and others. As an extension of the program, WalMart will supposedly merchandise Carey's new CD alongside her signature Arden fragrance (who have an ad in the CD booklet) just outside the music aisle, and intends to display them together in the beauty department (boy, I'm sure that'll really boost sales). One of the follies of this particular campaign is assuming that the people that purchase the CD will be able to afford or even care about the luxury products being advertised. The advertisers chosen just make it look like a straight money grab by the label (which it is anyway). Perhaps this scheme will work and even be welcomed by Mariah's fans, but you can bet that a lot of music fans will take a personal offense to this kind of blatant co-branding if it threatens to become the norm. Adverts so closely tied to the music violates the trust and bond that an artist works so hard to develop with her fans in Music 3.0. The artist is the one and only brand that the true fan cares about, and co-branding generally cheapens that experience. While I applaud the label for thinking outside the box (sorta), music co-branding hasn't really been a big winner before in the eyes of the consumer. I can't image that Mariah's package will find a different result. We've been seeing signs that the bubble has burst for the concert industry just the way it did for the rest of the music industry with this summer's ongoing discounts from mega-promoter LiveNation. Now comes an article from Reuters that indicates that virtually no one is selling out a tour this season. That's right - even superstars like Paul McCartney, AC/DC, Bruce Springsteen, Jonas Brothers, Coldplay (big surprise), and U2 are struggling to fill seats. For certain, the economy has finally caught up to the concert industry, but that's not all. The high prices and perceived gouging have caught up too. Couple all that with the fact that most of these mega acts have toured in major locations so much that it's not an event any more, especially for what amounts to be such a big bite out of the the consumer's pocketbook. In fact, demand is so low that the legal ticket scalper StubHub has begun selling tickets at a massive loss instead of their normal hefty markup. Indeed, it's been reported that some consumers "have already purchased tickets as low as $1 for Springsteen and Coldplay, $9 for Kenny Chesney and $10 for the Jonas Brothers this season, with tickets listing for as low as $16 for upcoming McCartney shows this weekend in Maryland," according to the Reuters article. It's also been reported that Live Nation is extending its half price ticket deal at ampitheaters as well as expanding its summer long "No Fee Wednesdays" promotion to include more than 1500 smaller shows at clubs and theaters. Could this be a turning point in the concert business? Has the final music industry bubble burst? We'll know by the end of the month when the summer concert season ends. Start with the highest quality audio file possible. Filter out the top end at whatever frequency works best (judge by listening.) MP3 has the most difficulty with high frequencies. Cutting these frequencies liberates lots of bits (literally) for encoding the lower and mid frequencies. You trade some top end for better quality in the rest of the spectrum. 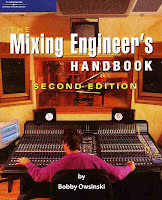 A busy mix can lose punch after encoding. Sparse mixes, like acoustic jazz trios, seem to retain more of the original audio oomph. Make sure your level is reasonably hot. Use the “Tips for Hot Levels,” or normalize if you must, but it’s far better to record at a good level in the first place. Don’t squander bandwidth. Your song might compress a lot better at 32kHz than at 44.1kHz because the encoding algorithm can concentrate on the more critical midrange. Don’t squash everything. Leave some dynamic range so that the encoding algorithm has something to look at. Use multiband compression (like a Finalizer) or other dynamic spectral effects sparingly. They just confuse the algorithm. Set your encoder for “maximum quality,” which allows it to process for best results. It takes just a little bit longer with today's fast computers, but it’s worth it. Remember: MP3 encoding almost always results in the post-encoded material being hotter than the original material. Limit the output of the material intended for MP3 to –1dB instead of the commonly used –.1 or –.2dB.